Hotel The Majestic is a unit of Duben enterprises, a huge group.The Hotel Majestic comes out to be one of the prestigious unit, the only hotel with a three star accreditation. This unit was inaugurated with a huge bang in the industrial town of the Punjab (Mohali). 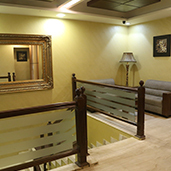 All the prominent co-operates are the regular guests of Hotel The Majestic as the service provided here in the hotel matches the best in the hospitality industry. Generous and professional staff always ready to serve as hospitality is at its zenith. All modern facilities available. 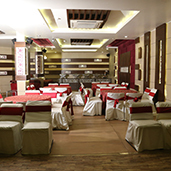 “Checkers” multi cuisine restaurant where various dishes are served to satisfy the appetite of the guest. “Majestic Bar” where sparkling and tantalizing mock tails & cocktails are served along with premium brands of whisky and scotch. Rendezvous our roof-top outlet, exclusively meant for small gathering of 35-40 persons. Banquet & Conference Facilities, ideal for business conferences, seminars, workshops, parties. Planetarium Banquet with capacity of 250 persons meant for celebrating the loud ones is fully equipped with professional DJ system.